The lifts are spinning at Timberline, but I have one last shoe review for the season. The SKORA Phase-X is perfect for fall, too. Not only is it plush inside with a fleece-like material it's the most reflective shoe I've ever seen. Reflective like a cat, right? First off, this shoe doesn't have LEDs in it or anything. That's just the camera flash reflecting off the shoe. It's surprising how often I get asked questions like that. Here's the same shoe with no flash. 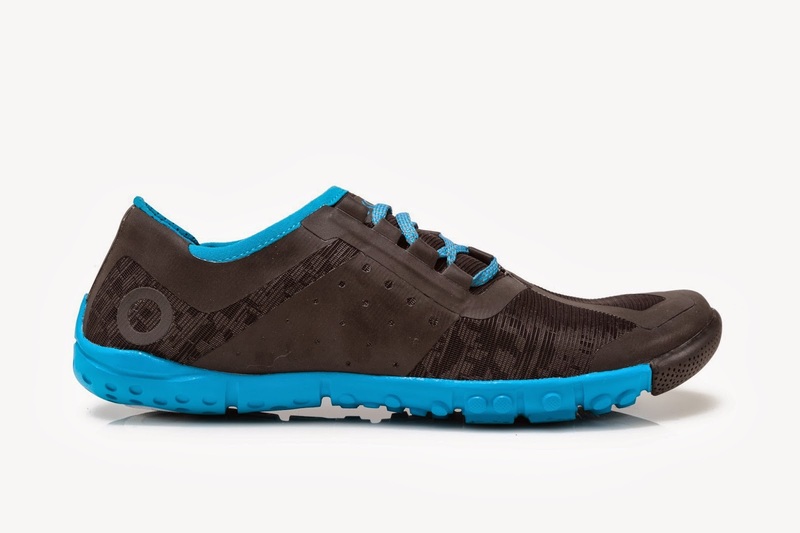 If you're a morning or night runner, you owe it to your safety to check this shoe out. You've never seen a shoe pop like this when headlights hit it. The whole thing lights up, not just some little tag. Enough about that, though how does the shoe run? The Phase-X is a lightweight, high-performance, zero-drop runner. Zero drop means that the cushioning under your toes is the same height as the cushioning under your heels, just like your actual foot. This allows for a more natural run. This also takes some getting used to if you're coming from an older shoe with a thicker heel like most shoes have. In the Phase-X, the cushioning is 11mm including the removable 3mm insole. It has a flexible, injection-blown rubber outsole with no midsole. This places you close to the ground and saves weight. You will be able to feel what you're running on. The feel of this shoe combines the lateral support of almost a cross-trainer with the light weight of a speed trainer. The rubberized panels on the medial and lateral sides keep your foot in place, while the same material guards your toes from stray foot placements. The rest of the upper is a breathable, flexible closed-cell mesh. Inside, the Phase-X wraps your foot in a fleece-like fabric that makes for an extra-comfy ride when running sans socks. For an even more natural feel, try them without sock or insoles. The sizing is true and the forefoot is roomy, but not sloppy. If you like to run without socks and insoles often consider sizing down a half-size. Some features the Phase-X shares with other SKORA models are the asymmetrical lacing, the no-tongue design and the anti-slip heel pad. These features keep your foot pain-free, comfortable and locked in place like it should be. All of these features add up to my favorite running shoe. Yes, as an ambassador, SKORA sent me this shoe, but I'm under no obligation to give them a positive review. It's just a great shoe. Light, yet supportive, close-to-the-ground and comfortable all at once. It even looks good, too. 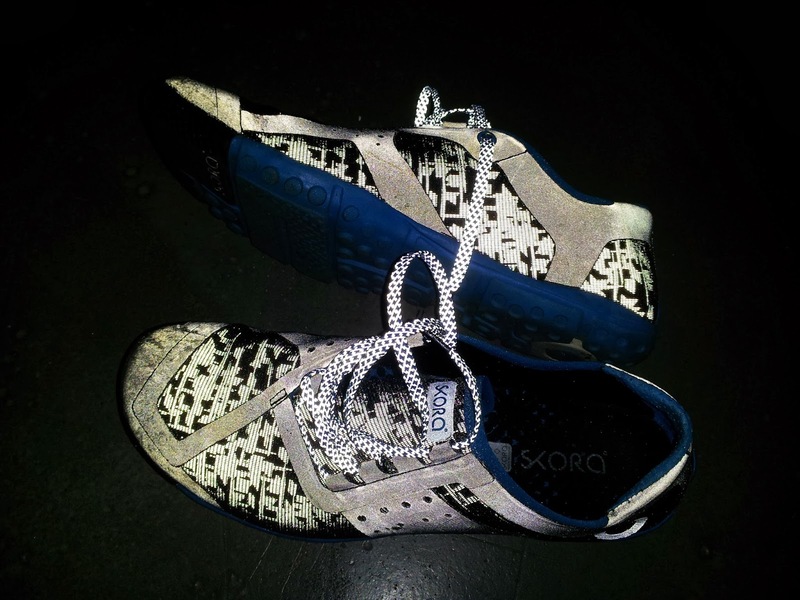 Check 'em out and get yourself a pair over at the SKORA site. A glory shot of my personal pair.